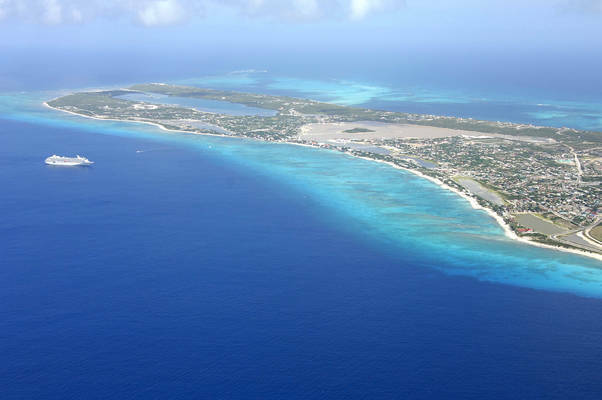 Grand Turk is the capital island of the Turks and Caicos, and Cockburn Town is the center piece of the island with a wonderful selection of historical buildings and a rustic charm that is unforgettable. This island is also the financial center of the country. It has the second largest population of around 3,720 people. 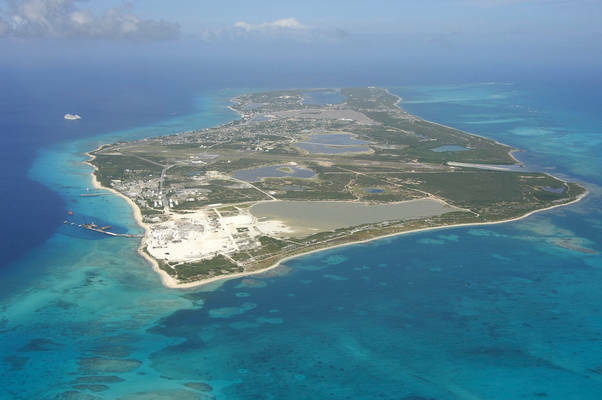 Grand Turk is one of the main historical points of Turks and Caicos. 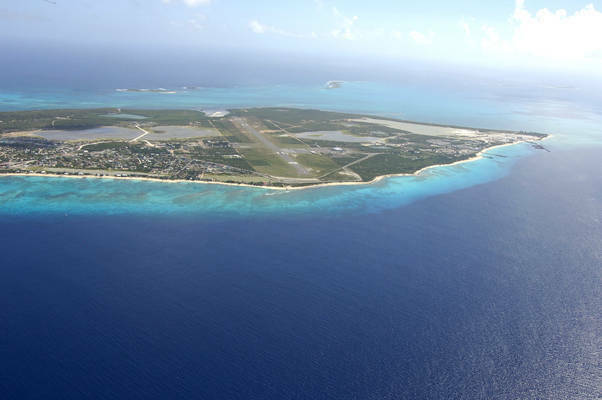 The image above is a view from Boaby Rock Point looking north over Grand Turk International Airport and the several salt evaporating ponds that dot the island. 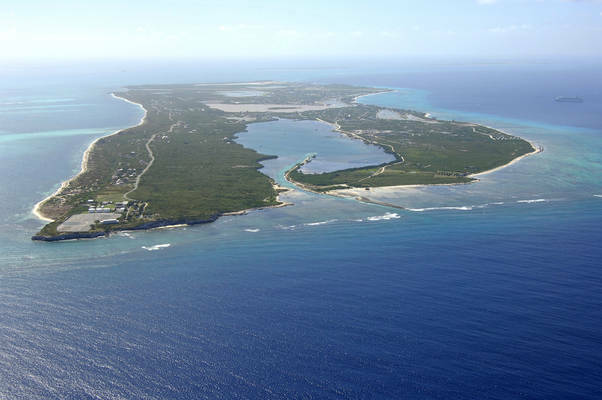 Cockburn Town is located in the center part of the island, and a cruise ship can be seen anchored just offshore of the town waterfront on the left (west) side of the image above. The west (left) side of the island is where the lions share of Grand Turk anchoring occurs. South Dock is located on the southwest end of the island and is visible by the large piles of white salt in the image above. Farther up the western shore of the island are a scattering of anchorages that lie behind breaks in the islands protective coral reef. Many of these are just east (right) of the anchored cruise ship in the image above. There are several breaks in the reefs surrounding the west side of Grand Turk near Cockburn Town, and cruising boaters can take advantage of the protected areas to find anchorage. From Pillory Beach (protected, no anchoring here) south to Boaby Rock Point, you can find three separate anchorages off Columbus Passage. 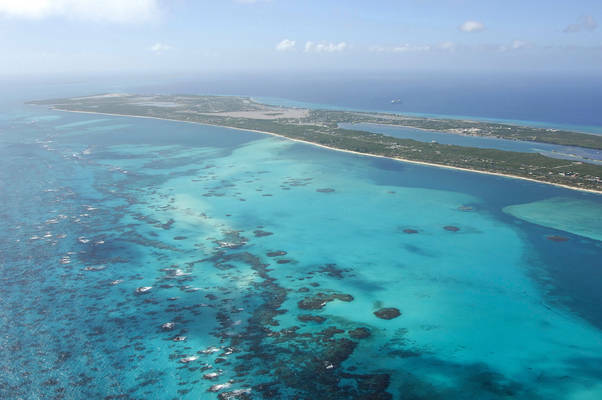 Once you have cleared the reefs and entered the shoreside anchorages, you will usually find 7- to 11-foot depths with good holding in a sand bottom. Westerly winds can result in an uncomfortable ride here. 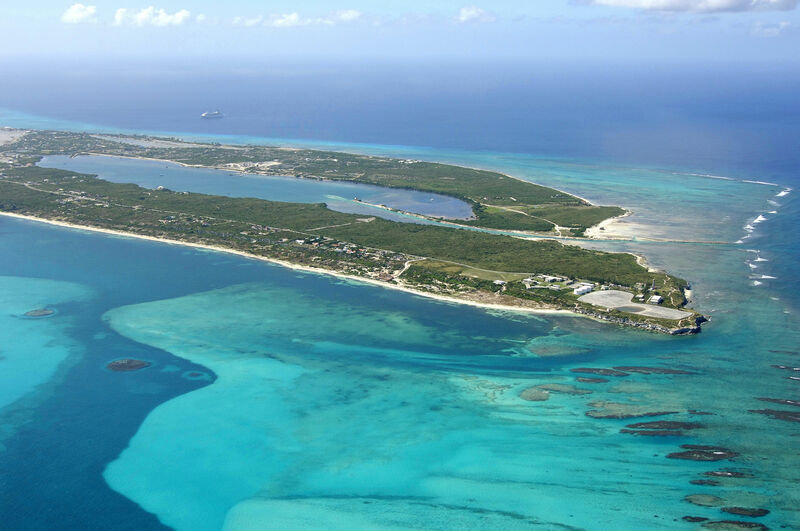 Grand Turk and the rest of the Turks and Caicos are famous for many things, but fishing, SCUBA diving and boating activities rule the list. A beautiful array of coral reefs surround the island and local charter outfits specialize in taking divers to the best destinations. 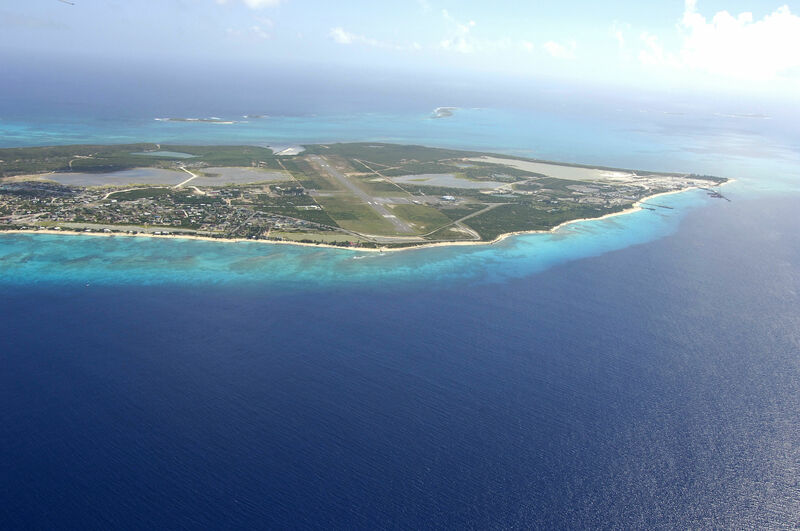 The Grand Turk International Airport is located on the southern end of the island and offers commercial and local charter air service to local and far ranging destinations, including Miami, FL, and Nassau, Bahamas. No reviews yet! 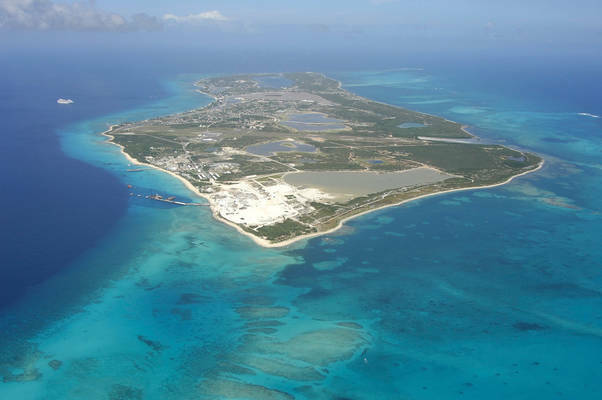 Be the first to write a review of Grand Turk Island.